Stand up and cheer for the little musical with big heart. 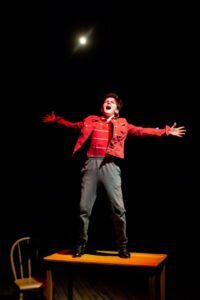 “Billy Elliott” paints the portrait of a young man with dreams surrounded by a dreary, dismal world. A miner’s strike in the United Kingdom means no money rolling in for Billy’s widowed father. As a single parent, the choices made do not always match the hopes of a young son. The harsh reality the father faces pulls him in an opposite direction than his son’s natural talent. The big musical played Kansas City a few years back on national tour and visited the Music Hall for one week, but Spinning Tree’s production marks the first local mounting of the show and sets it in a small black box theatre with minimal sets and props. The absence of the sets, projections, bigger cast, grander musical numbers puts the focus on the smaller story and the emotional journey of each of the characters. To simplify the story, “Billy Elliott” reminds me of Flashdance, only “Billy Elliott” contains a real gritty story as its backdrop. The story of the coal miners and their rugged determination paints a contrasting story to the flounce and thoughts of ballet. What could be more of a contrast, hard-working, rugged, miners vs. the perceived life of “Swan Lake” ballerinas and men leaping and spinning in tights? 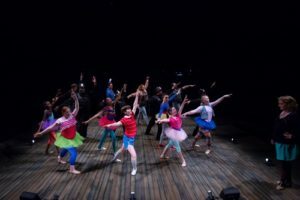 For this rendition, Spinning Tree called on some of Kansas City’s celebrated talent to create the Broadway show in a smaller, compacted space. The result is larger than the life story that tugs at the heartstrings. Casting, a strong point for Spinning Tree Theatre, continues to pull top local talent to their productions. Heading the cast of “Billy Elliott,” Robert Hingula get the chance to play against his musical-comedy parts and give a gritty, heavy performance of the father who undergoes a major change when he realized his son’s devotion to his dream. Julie Shaw gives a really forceful performance as the ballet teacher who notices Billy’s natural talent and strives to push him to the next level. Marilyn Lynch, in a small, featured part of the grandmother just nails her part and steals each scene in which she appears. She’s funny, insightful, dominant, and loving. What a fantastic performance. And, Timothy Houston in his second Spinning Tree show proves he has the depth to create diverse characters and deliver them with confidence and force. And what would “Billy Elliott” be without a strong lead character to carry the show and serve as the link between the two opposing worlds. Ben Renfrow embodies his title role and carries if off as an old pro. He gets some great support from his good friend aptly played by Robin Robles. The “Billy Elliott” cast is: Ben Renfrow as Billy Elliott, Julie Shaw as Mrs. Wilkinson, Robert J. Hingula as Dad, Timothy Houston as Tony, Marilyn Lynch as Grandma, Robin Robles as Michael, Jennifer Renfrow as Billy’s Mom, Spencer Thompson as George, Douglas Walker as Big Davey, Noah Lindquist as Ensemble member, Ryan Tucker as Lesley, D’Andre McKenzie as Ensemble member, Devon Barnes as Ensemble member. Jahnaya Thomas as Debbie Wilkinson, Juliana Allen as Kelsey Gibson, Mauriele Fields as Allie Summers, Maddie Hendricks as Margaret Gormley, Aurelia Power as Tracey Atkinson, Finley Sitzman as Susan Parks, gage Phannenstiel as Small Boy, Marshal Jones as Tall/Posh Boy, Christian Harris as Kevin. 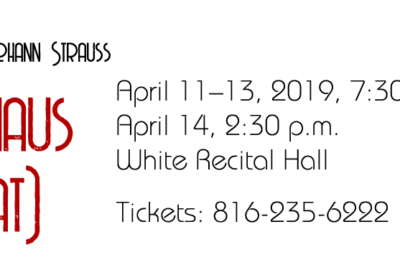 The “Billy Elliott” band is Pamela Baskin-Watson, keyboard/conductor; Kaytee Dietrich, woodwinds; John Gilmore, drums; Tim Thomas, trumpet; Brandon Wilkins, woodwinds; Brian Wilson, bass. 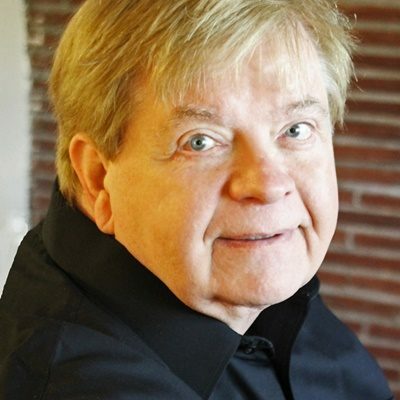 The Production was led by director, Michael Grayman-Parkhurst. Others include Justin Dudzik, lighting design; Eric Palmquist, properties design; Shannon Smith-Regnier, costume design; Jeff Eubank, sound design; Warren Deckert, scenic coordinator; Joseph Carr, dialect coach; Lydia Krause, production stage manager; Pamela Baskin Watson, musical director; Andrew Grayman-Parkhurst, choreographer. 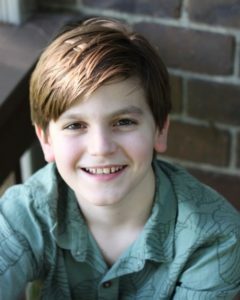 Ben Renfrow as Billy Elliott. 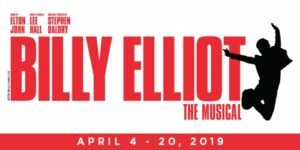 “Billy Elliott” runs at the Just Off Broadway Theatre through April 20 and with opening night being a sell out, more should follow as word of mouth spread about this wonderful production. Spinning Tree just always gets all the pieces to fit perfectly together and create the magic. With a strong cast, attention to detail on all the technical aspects, and Elton John music, “Billy Elliott” delivers the goods. Tickets, times, dates and more information can be found on the Spinning Tree website. This is the final production for Spinning Tree Theatre for this season. 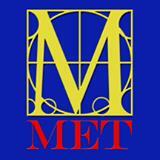 Their annual Gala is planned at their new venue for next season, the Johnson County Arts and Heritage Center on Metcalf.